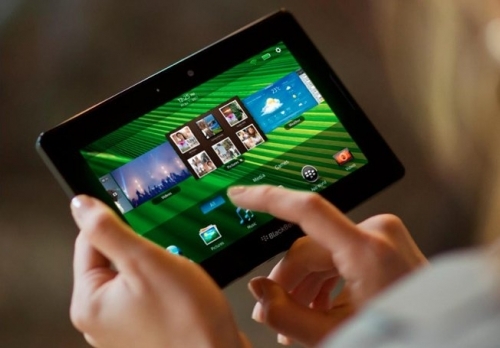 Rumors say RIM dumping the PlayBook but RIM says it's "pure fiction" | BlackBerry Blast! BlackBerry Blast! > News > Rumors say RIM dumping the PlayBook but RIM says it's "pure fiction"
Rumors say RIM dumping the PlayBook but RIM says it's "pure fiction"
Market rumors have been swirling suggesting RIM will dump the BlackBerry PlayBook and exit the tablet market. In light of the PlayBook's price drops at many US and Canadian retailers, and weak sales overall, it wouldn't really be a huge surprise if RIM decided to bail. However, BGR reports the BlackBerry-maker has called foul on those rumors. Let's hope RIM can navigate their way through the crowded tablet market. We've already heard that the PlayBook will run some Android apps, but it doesn't not quite have a full Android experience. Amazon's entry into the tablet space yesterday will put pressure on all tablet makers and RIM really needs to step up their game to have a shot.